I recently sat down with Quicken Loans Recruiter Laneisha Gunn to get some tips on resume writing and interviewing for jobs. “We are always reviewing resumes in search for the most talented candidates we can find,” she said. According to Laneisha, the Quicken Loans recruiting team gets thousands of resume every month! Read on for 15 tips to help you stand out from the crowd. She encourages job seekers to carefully review their resume and cover letter, and ask for a peer review for an opinion from another critical eye. Most people have some skills from previous jobs that can be transferred to their prospective position. Dig deep in order to identify them, and include them in your resume. It’s important to make sure everything on your resume is relevant to your work experience and the position you want. She said it’s a good idea to lay your resume out so it’s easy to understand. 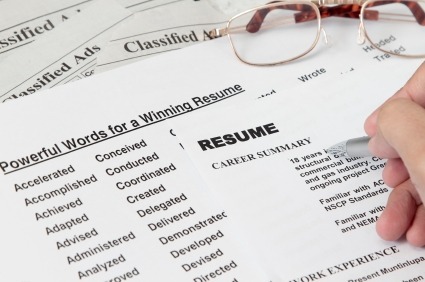 “Make sure your resume has a header that clearly lists your contact information. And if you have more than one phone number, be sure to identify them,” Laneisha said. Some hiring companies even use software to scan resumes for certain words that relate to job skills, she explained. So look for opportunities to include words that add value to your resume. “Quantify any values on your resume when you can because it proves that you were able to impact or change something on the job,” Laneisha suggested. Definitely include numbers that tell how you promoted growth in the workplace. “If you helped to increase sales by X amount, highlight this. These things can be key to your resume,” she said. Laneisha suggested scouting out workshops, online resources and webinars to learn new skills. Many of these resources are free or very affordable. “Your interview preparation starts with research. Do your homework on the company, the position and the industry,” Laneisha suggested. “It’s so important to be prepared! Preparation can determine whether you’re an all-star or not. Interviewers are certainly going to test your knowledge about the company and other pertinent information. Laneisha says it’s important to be conscious of your behavior and attitude from the moment you hit the grounds of the prospective employer. Sometimes, we’re trying to have a phone interview and the candidate is in a loud place or their connection keeps dropping. So ensure that you are ready to talk,” said Laneisha. Be aware of your hygiene, have proper posture, and try not to show your nervousness. An interview is the time when people can see whether the candidate is a good fit for the team. “It’s really important that you don’t come off as stiff. These are the people who may potentially be your teammates, so just be yourself,” Laneisha said. You should also remember to carry yourself with confidence. “It’s OK for you to feel comfortable or crack a joke. Remember to smile, too!” she said. No matter how your interview experience goes, it’s important to maintain a professional attitude with your interviewers! Don’t forget to tell them if they have a criminal record or bad credit they won’t get hired, even if the interview went well, even if they have experience and everything else that would benefit the company! We take these issues very seriously and are looking into this. If you have any further detail you’d like to provide, please email Lisa@Quickenloans.com.